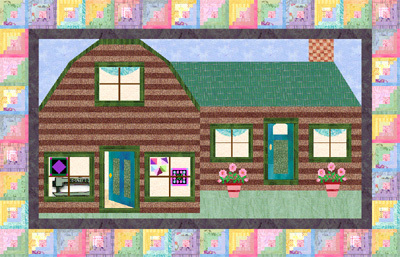 It's been so hot and dry here in Texas that I couldn't bear to do a summertime quilt for the calendar this month. The fact that our air conditioning hasn't worked since last August doesn't help matters. It's 83℉ at 11:47pm in my living room, and I'm melting. I may just wake up the kids for a midnight run to Dairy Queen for Snickers Blizzards. 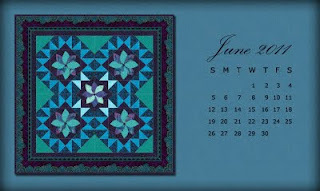 Anyway - click on the calendar to expand image to full size, right-click and choose Set as Wallpaper or Background. 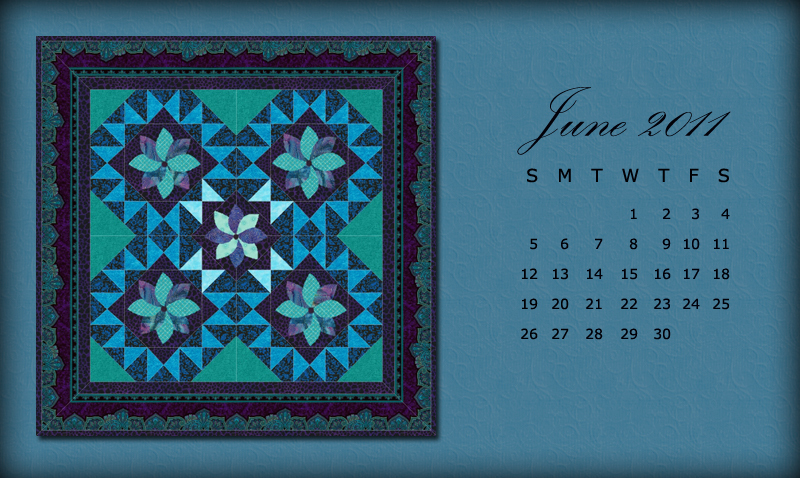 To really jazz up your desktop, right-click on your background and choose a color that coordinates with the calendar - you'll be the envy of your cubicle! And if you have any rain left over...send it our way!